People love having a trustworthy, professional and efficient place to go to in order to get their nails treated. Luckily for anyone that lives around one of its locations, Envy Nails is such a place. Apart from a truly high level of quality, Envy Nails offers its customers a warm, personalized service. In order to fill you in on the details, in addition to offering valuable information about the service, the present guide will go over Envy Nails prices. Regular Acrylic Full Set $29, Fill $20, Full Set with Gel Polish $38, Fill with Gel Polish $30. Pink and White Acrylic Full Set $49, Pink Fill $28, Pink and White Fill $37. Crystal Clear Acrylic Full Set $26, Fill $23. IBD UV Gel Full Set $46, Fill $33, Fill with Gel Polish $41, Full Set with Gel Polish $51. What Are Envy Nails Salon’s Services and Why Should You Try Them? Without a doubt, a good manicure is a must for achieving a full, elegant look. Being fully aware of that, Envy Nails provides a high-quality, carefully designed manicure service that truly stands out. 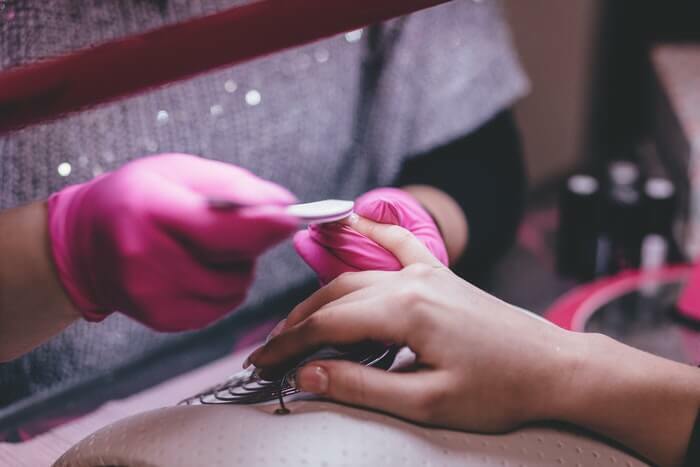 Carried out by professional nail artists and trained nailed technicians, this service takes into account every aesthetical and comfortability aspect, resulting in a relaxing experience that yields fantastic results. Even though they are not as visible as your hands, it’s important to take good care of your feet. For that reason, Envy Nails offers an expert pedicure service that truly constitutes a rejuvenating treatment for your feet. Apart from cleaning and moisturizing your feet, the pedicure will take care of your cuticles and your nails, resulting in a healthy and beautiful look. A well-manicured and healthy set of nails looks great on its own. However, those who want their nails to look extra beautiful and attractive could greatly benefit from Envy Nails’ nail enhancement services. Using the best materials and the most enticing colors, these nail enhancement services have the ability to transform your nails into small, personal and beautiful pieces of art. In addition to nail-related services, Envy Nails Spa offers the removal through waxing of unwanted hair in a semi-permanent fashion. Envy Nails’ waxing services can be done on any part of the body, including facial and private areas. After being conceptualized by Meredith Serrano and Sean Nguyen, Envy Nails was born in New Jersey in 2012. Rather quickly, it rose to prominence thanks to the quality of its various services. Operating under the mantra of giving customers precisely what they want, Envy Nails has become one of the go-to places for nail services in the area. Simply put, Envy Nails is the place to go for nails services due to the fantastic quality and warmth of its services. Handled by expert professionals, each of these services are meant to empower and please customers as completely as possible. From Monday to Saturday, Envy Nails is opened from 9 AM to 8 PM. On Sundays, the salon is opened from 9 AM to 5 PM. As a conclusion, Envy Nails offers a valuable array of services that most customers will love. Despite the astounding quality of this service, Envy Nails prices are incredibly affordable. Have you tried Envy Nails before? Let us know all about it in the comment section!